Bill Mallonee should need no introduction. One of today’s great unsung troubadours and a humble, grizzled searcher, he plies the long, beat roads of America, carrying his old-fashioned traveling show to the doorways, coffee shops, and music rooms of the fortunate initiated. Hailed as one of the 100 Greatest Living songwriters by Paste Magazine, he is, like Townes Van Zandt, a nearly unparalleled songwriter’s songwriter. Over the course of 40+ albums, as the frontman of his former band, regional favorites Vigilantes of Love, and through his relentless solo output of the past decade, Mallonee has consistently delivered insightful, timely commentary on society and the state of affairs, human dignity and struggle, and shined a light on his inner life and spiritual quest through his revealing and weathered songs. He is well-deserving of being considered one of the great voices in American folk and rock music, and counts the likes of R.E.M.’s Peter Buck and Americana master Buddy Miller, who co-produced Vigilantes of Love’s Killing Floor and Audible Sigh, respectively, as fans. Emmylou Harris even lends her voice to the former’s shimmering “Resplendent”. As his legions of supporters, who funded his latest studio record via Kickstarter, surely know, his work is the stuff of a legend among us. Since the dissolution of Vigilantes of Love in 2001, Mallonee has quietly recorded and self-released over ten records and assorted EPs, not to mention his eleven Works (in) Progress Administration (WPA) series of home recordings ranging from collections inspired by the Upper Big Bend Mining Disaster of 2010, Coal Dust Soul, to the recent recession, joblessness, and lack of faith in American governance, Drifter Songs. 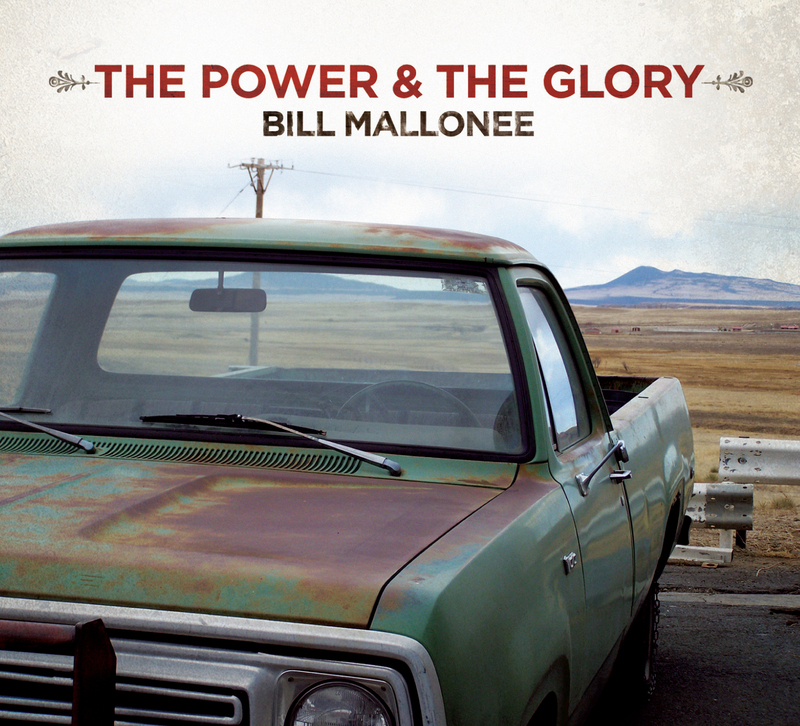 Cowboy Angel Music is pleased to present Mallonee’s return-to-studio tour de force, the big sounding, rocking, and fully realized The Power & The Glory. His first proper studio album in years, recorded by Matt Reifler at St. Francis University, The Power & The Glory is intelligent, catchy, and mature songwriting from a master. It may be his best album yet. These songs, initially placed on various WPA EPs of the past few years, are recut here in their full splendor. The Power & The Glory is a jangly, guitar-driven record with a touch of grittiness and dirt in the thick, layered electric guitar parts. There’s an understated grandeur here, as Mallonee’s signature vocal stylings (with hints of Tom Petty and Kathleen Edwards) twist in accessible melodies at the forefront of an Americana rock & roll wall of sound. Traces of Neil Young a la Ragged Glory, The Jayhawks, and Tom Petty are clear throughout. “The Ghosts That I Run With” sounds like an expanded, garage rock take on Young’s “Old Man”, and the softer, marching drum beat-propelled “Ever Born into This World” recalls the melodicism of “I Am a Child”. But these performances are never derivative, but highly nuanced and subtle. The supportive, secondary guitar lines underpin each of the tracks, providing added color and emotion. And throughout, the harmonies, piano, and organ pads of Muriah Rose, Mallonee’s wife and touring partner, further enhance each song tastefully. Album highlights include the attitude-fueled “The Shakers & The Movers”, a commentary on corporate greed, mid-tempo rocker “Just to Feel the Heat”, the memorable personal journey tale “Go to Sleep With the Angels”, the pulsing pop gem “Bring You Around”, and hopeful slow roller “Spring In Your Spirit”, with its woodwind-esque organ and blissfuly grand distorted guitar lines. And then there’s the content. Ghosts and card-table imagery run rampant in the songs, unsurprisingly perhaps, as the thoughtful Mallonee explores the past, wounds scarred and healing, and the submission to and solace of his faith. A true artist, Mallonee is crushingly honest, allowing us to find ourselves as we peer into his own dark terrain not without promise. Here we find commentary on the patterns and orbits of our lives, the counting of the “ledger sheets of the years”. We are fallible, Mallonee tells us. We live with our decisions and persevere through hardships. We do what we know best. Years on the road, scraping from show to show, a broken family (“I burned it down just to feel the heat”), nostalgia for your child’s early, carefree years (“it’s a far cry from the backyard of laughter and cartoons”), a move to the desert lands of New Mexico (“You can lose yourself in the high deserts of New Mexico/ you can shed every skin ya ever lived in/ it’s the loneliest sound I know”). These songs speak of the incomparable human spirit. They are Mallonee’s but they are our own. Most importantly, though, there’s hope: “Away with the fear/ announce a new year where mercy is born” (“Bring You Around”); “And this dark night of the soul/ trade your grieving for some rock n’ roll/ There’s Spring in your spirit”; “Maybe God’s face has smiled upon us” (“Spring in Your Spirit”). And, mining his own Christian faith, he finds peace that forgiveness and comfort will surely be ours: “You may come back like a prodigal son to your Father’s home/ or ya may steer clear for a thousand years ‘til the Shepherd finds His own” (“Ever Born Into this World”). The Czech author Milan Kundera wrote that his characters are his own unrealized possibilities. So too, Mallonee’s lyrics are either precisely that or a very mirror into ourselves. “There’s a place within the cleft of rock/ there’s a whisper with no words,” he sings in “Ever Born Into This World”. Go to that place. Find the passage, and listen in. Hear the sound and words of one of Americas’ greatest unknown singing poets. There you will find yourself, awaiting. Bill Mallonee’s return-to-studio tour de force. Intelligent, catchy, and mature songwriting from a master. Big sounding and rocking, with hints of R.E.M., Neil Young & Crazy Horse, The Jayhawks, The Byrds, Tom Petty. One of the finest records from Paste Magazine’s “100 Greatest Living Songwriters”. 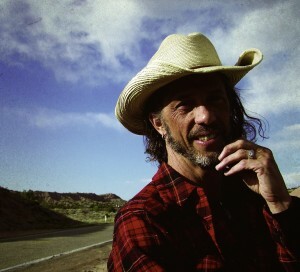 Bill Mallonee has performed with: Buddy Miller, Bruce Cockburn, Emmylou Harris, R.E.M., Dwight Yoakam, Jim Lauderdale, Shawn Mullins, Sufjan Stevens, Peter Case, North Mississippi All-Stars, Alejandro Escovedo, Glen Phillips, Peter Mulvey, Mark Olson (The Jayhawks), Gin Blossoms, and more. When this magazine published its list of the 100 Greatest Living Songwriters in 2006, the most obscure name on the roster was Bill Mallonee. As the leader of Georgia’s Vigilantes of Love and later as a solo artist, he had never sold many records nor played very large venues, but he impressed enough of the critics and musicians who voted in the poll to land at #65. Peter Buck and Buddy Miller were so taken with him that they produced the VOL’s Killing Floor and Audible Sigh albums respectively. Mallonee, a skinny singer-guitarist with round glasses and shaggy dark hair, caught his colleagues’ attention by marrying the literary ambitions of his two biggest heroes, Bob Dylan and Neil Young, to the jangly guitars of his 1980s contemporaries from the Southeast: R.E.M., the dBs, Let’s Active and the Swimming Pool Q’s. Overstuffed with metaphors, ornamented with chiming guitars and informed by his spiritual quest for happiness in an unhappy world, Mallonee’s songs were not easily forgotten by the few who heard them. His surprise landing on the list didn’t appreciably change his fortunes. He was still operating without a label, a manager, an agent, a publicist or a radio promoter; he and his second wife/keyboardist Muriah Rose were still doing everything themselves. But he remained amazingly prolific; between his 1990 debut, Jugular, and his new release, The Power & the Glory, Mallonee has averaged more than an album per year. The new disc is the first he’s recorded in a real studio since moving last year from Georgia/North Carolina, where he’d spent almost his entire life, to a small town between Santa Fe and Taos, New Mexico. “We had to get out of there,” Mallonee says. “More people were moving into the South, and they seemed more anxiety-ridden. There were more people on their cell phones, more near-accidents on the highway. We ended up in New Mexico, in the middle of a big organic farm scene. A lot of people who had burned out on the white-collar world decided they were going to grow organic food and came here to do that. What we’re doing is somewhat analogous; it’s a place to let the songs blossom. We’re working without a label and publicists just like these farmers are working without big machines and chemicals. A lot of that brightness comes from the shimmering layers of guitar that Mallonee has multi-tracked. Songs like “Bring You Around” and “Wide Awake with Orphan Eyes” open with sparkling folk-rock licks that establish a hopeful atmosphere before the vocal ever enters. Not many musicians reinvent themselves as instrumentalists at age 56, but Mallonee has always had a funny relationship with time. A longtime drummer, he didn’t learn the guitar or write songs until he was 31 and didn’t release his first album until he was 35. “I was just getting started in rock ’n’ roll,” he laughs, “at an age when a lot of people were getting out.” And he keeps going when almost everyone else his age is either famous or working a day job. “That ‘li’l older’ line is autobiographical,” Mallonee admits. “I feel I’ve gotten better. I still feel like I have something to say and a good way to say it. Who I am as a person is fully integrated into the songs, and the person I was five years ago or five years from now is not the person I am now. So I’m saying something different now than I did before or will in the future. You do get smarter as you get older. You learn how to say no sometimes. Also on the new album is “From the Beats Down to the Buddha,” the latest in Mallonee’s growing collection of songs about Jack Kerouac. Mallonee, sounding even more Neil Youngish than usual, sings of Kerouac leaving behind “Lowell’s lonely factories” to travel “these asphalt vibrations” with “knapsack dreams.” Even when Kerouac ended up in Big Sur, drinking too much and losing his mind as he talked to the ocean, he still believed it would all make sense when he got it all down on his Underwood typewriter. And that’s what made the new Southern rock of R.E.M., the Swimming Pool Qs, the dBs and the Vigilantes of Love different from the old Southern rock, Mallonee believes; these new songwriters had gone to college and read the novels of Kerouac, William Faulkner, Flannery O’Connor and Eudora Welty. They cared about language, especially Southern language. “The thread that ran through that music was more than just the jangly guitars,” he argues; “there was a Southernness to our music that I didn’t hear in other indie-rock scenes when I traveled around the U.S. It wasn’t the Southernness of the Allman Brothers; it was the Southernness of Faulkner and Flannery O’Connor. They were asking the big questions: Is this a world that makes sense? Is it a world where love has a place? If so, why is there adversity and suffering? Why does God seem so distant at times?